For Jandernal, that means digging deeper to unravel the latest developments in the industry, decoding emerging tastes and even discovering new trends in packaging, presentation and labeling. While trade opportunities like the National Restaurant Association, and the accompanying Sweets & Snacks Expo, are useful sources for uncovering those trends, they play just part of a much larger role that is necessary in the acquisition of skills and knowledge for feeding today’s generation of college students. Along with their disruptive influence in fashion and music, students are also at the vanguard of radically different attitudes toward food. The erosion of traditional mealtimes, the emergence of all-day breakfast, and the growth of Home Meal Replacement (HMR) options are all alternatives to the long-established idea of eating around the family table or making the same restaurant choices as their parents. Given their busy schedules, it’s no surprise that students today want easy and quick snacks and meal replacements. 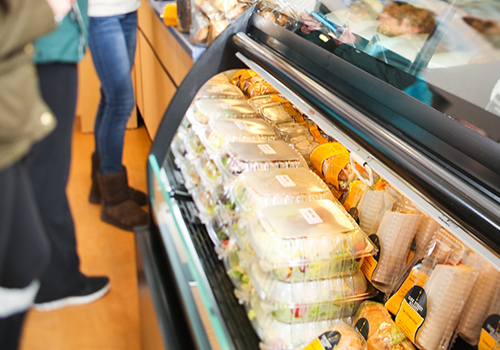 According to Barnes & Noble College’s Snack Attack report, 71 percent of students ranked “easy to eat and clean up” as very/extremely important—almost as high as price (72 percent), which is typically one of the most significant factors for this age group. “We’re looking at categories that just weren’t there before—smoothies, juicing, a deeper focus on pre-packaged fresh foods—those are all categories that have emerged because of the way young people think about food, taste and presentation,” points out Barnes & Noble College’s Director of Café & Convenience, Lisa Shapiro. 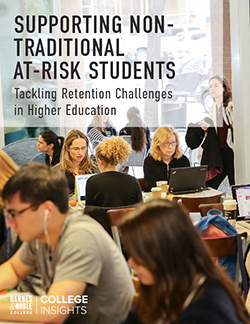 Key to understanding the preferences of their Millennial and, increasingly, Generation Z customers, is the extensive amount of research Barnes & Noble College invests behind their Café & Convenience operation such as last year’s ground-breaking Snack Attack report. Another essential source of intelligence is in the depth of relationships buyers like Jandernal forge with their suppliers. “They realize where our customers are cultivating their habits and their loyalties, and they’re very much in step with helping us develop the products we need—and vice versa,” she says. In time for this year’s back to school, those kinds of relationships have given birth to testing programs such a new promotion with top-selling Greek yogurt brand, Chobani. “Think of a frozen yogurt concept, but with the health profile of Chobani as the base ingredient, and the ability for customers to customize from a choice of toppings,” Jandernal explains. 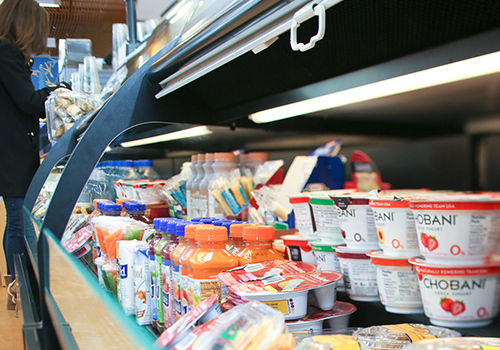 A self-service bar will enable experimentation with taste pairings such as peanut butter and jelly yogurt, or savory and sweet combinations, in a ‘make-it-your-way’ preference that appeals to the student demographic. “Plus, it’s about health and high protein, which is definitely on trend across our product range right now,” she adds. That need to cater to customization is also reflected in different service opportunities. “The nature of our stores is that there are going to be more self-service opportunities than the full-service café experiences,” she says, and a test with Starbucks at Florida International University this fall, will speak to that by enabling students to sample a wide range of traditional barista created beverages on an on-demand basis—also customizable with individual flavorings. Because of the wide variety in the over 150 Barnes & Noble College managed stores offering food service, how new lines and more compelling snack options are presented can require creative merchandising. 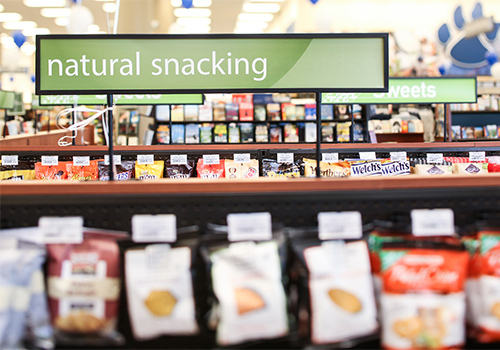 “We’re constantly looking at different and creative ways to add meaningful displays to our stores,” Shapiro points out, “and that can mean making the smallest change to a display case or check out, or adding something like a snacking end cap, which can be easily merchandised and easy to shop to ensure the customer is getting what they want.